If you’re into podcasts, nonfiction, cold cases, or any combination of these, then chances are you already know about the newest podcast pretty much everyone has been talking about. 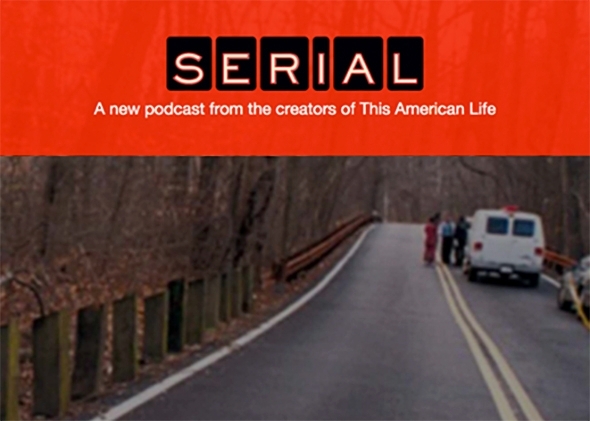 Serial is hosted by Sara Koenig, a former journalist for The Baltimore Sun, as she revisits a murder case from 1999. Every Thursday morning a new piece is added to the story, and every week, it gets harder and harder to believe how incredibly sloppy the original investigation was. Hae Min Lee was last seen leaving Woodlawn High School one afternoon in January of 1999. She was later reported missing. Police investigated her boyfriend Don, her ex-boyfriend Adnan Syed, and spoke to all of her friends and acquaintances. Hae’s body is eventually found in Leakin Park by a man who claims he just stopped to go to the bathroom. After a testimony from Adnan’s friend Jay, Adnan is convicted of Hae’s murder, and sentenced to life in prison. For Sara, and so many others though, there are just too many missing pieces. Too many leads and pieces of evidence the police decided to just “let go.” Is Adnan really guilty? No one who knew him can believe he is capable of something to heinous. The podcast is made up of Sara’s thoughts, her phone conversations with Adnan, her interviews with the police and other witnesses, and clips from the trial. As each new detail is revealed, I found myself growing more and more unconvinced that Adnan is guilty. I was addicted and have been recommending my friends and coworkers listen to it as well. It’s a weird thing to recommend though. These are real people. Someone is really in jail and someone was really murdered. Their families are still impacted by this every single day. Though they’ve been doing some interviews, Adnan’s family is still very much affected by the case and its outcome. Hae Min Lee’s family have still not commented on the podcast or it’s reopening of the painful past. On the other hand, Serial is bringing much needed attention to the justice system and the flaws therein. Serial also got me thinking about stories and how we tell them. How many options we have and how many people we could reach with each format. A book about Hae’s case would have been great. Since the website contains all of the relevant documents mentioned each episode, they could just as easily have been placed in a book. However, I can’t help but think it wouldn’t pack the same punch. A podcast let’s us hear the testimonies just as the police did. We get to hear Adnan’s frustrations with spending more than half his life in prison for a crime he insists he didn’t commit. Couldn’t have committed, according to his retelling of the events of 1999. 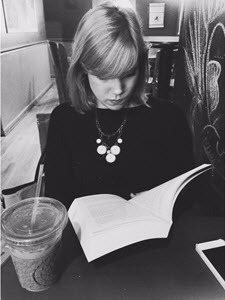 I’ve been in a serious book reading rut the past week or so, and can’t seem to get into anything at all. So I was especially excited to start Serial and was immediately drawn in to the story. A story is a story, and this is just a piece of nonfiction that happens to be ongoing. If you haven’t already, I highly recommend giving Serial a listen! Are you a podcast person? Do you like Serial? Friendly reminder to like my facebook! I admit I only skimmed this post. I subscribed to Serial and have the first few episodes ready to go on my phone. I thought that I’d be able to listen to them while I was working. But I can’t. I need to really listen. So I skimmed this post because I don’t want to know anything! Everyone is talking about Serial and I want to get in on it so bad but I’m having trouble finding the dedicated time to *listen* to it. When do you find the time? I actually listen at work! It helps that I’m usually looking at numbers though, I can’t focus on it if I’m reading something like you said. I also like to listen on my commutes to work and home! Me too! I don’t know what to do until December 3rd!